My reservation wage is the wage that is necessary to keep me in my present job rather switch to another. The difference between my actual wage and my reservation wage is called economic rent. Taxing economic rents seems both just and, as economists emphasize, efficient, because doing so by definition will not change people’s labour supply. Now, what are the factors that determine wages, reservation wages, and, thereby, economic rent? First, the perceived scarcity of skills. One factor behind LeBron James’ salary is his perceived skill as a basketball player. Second, structural features of the market. 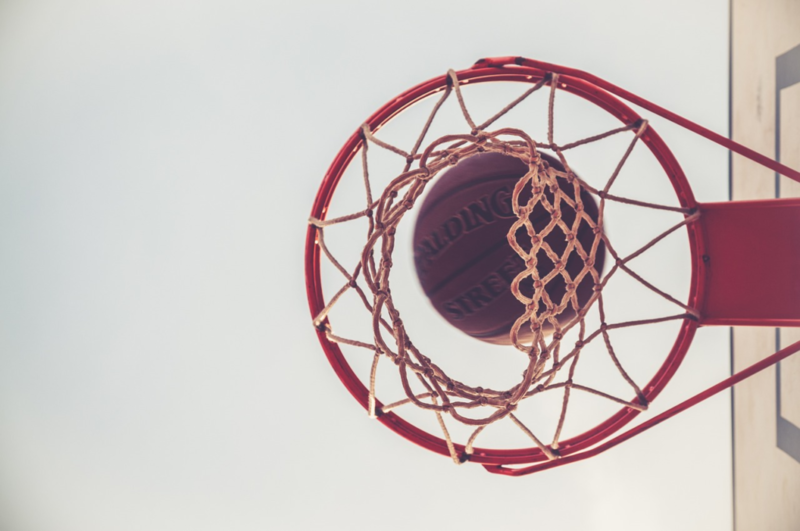 The market for basketball players, for instance, fits the model of a winner-takes-all market, where small differences in skill get amplified into big differences in revenue. Third, and this is the factor neglected by conventional wisdom but acknowledged by labour market economists (e.g. Tito Boeri and Jan van Ours), wages are influenced by social norms broadly defined, that is, ranging from informal conventions to institutionalised social arrangements (see also the contribution by Peter Boettke, Rosolino Candela, and Kaitlyn Woltz). The very notion of a scarce skill is already infused with social norms. LeBron James would not earn as much in a society in which the skill of throwing a ball through a hoop was not valued. In addition, especially on the labour market where competition is imperfect, wage inequalities can solidify into social norms over time. Think of the history of wage inequalities in pretty much any country of your choice. In the US, for example, the average CEO-to-worker compensation ratio has increased from around 20-1 in 1965 to about 70-1 in 2013. Economics alone cannot explain this trend. Once in place, wages are “sticky” as economists like to put it. Psychology plays an important role in this. At the heart of Daniel Kahneman and Amos Tversky’s Nobel-Prize-winning prospect theory lies the idea that people attribute more negative value to losses of what they already possess than they attribute positive value to an equivalent gain. Wage cuts are one form of such losses, and prospect theory thus helps to explain why cuts in nominal wages are rare. The market power of high-earners and ideologies protecting vested interests are other factors that prop up social norms about pay. Social norms not only influence wages, but also reservation wages. What if LeBron James’ reservation wage – what he could earn in baseball rather than basketball, say – is relatively high not just for economic reasons, but in part because of the social norms about remuneration in professional sport, and in our society more generally? In this case, there is a socially contingent element both to his reservation wage and to the economic rent James receives. Under different social norms, he could and would play basketball for less. Conventional economic wisdom cannot make sense of this claim, because it takes people’s labour supply preferences, including their reservation wages, as given. When we relax this assumption, as I suggest we should, we see that the equity-efficiency trade-off becomes a much weaker constraint. Yes, we can push for a more equitable wage structure without a loss of efficiency because reservations wages are – to some extent at least – socially contingent. Put differently, the economic rent earned on real world labour markets is much bigger than conventional economic analysis would suggest. Competition on labour markets is imperfect and insufficient to compete away these rents, which are underpinned by social norms. One remarkable upshot of this analysis is that, up to a point, the demands of justice and of efficiency converge. Reducing wage inequalities due to economic rents that are in turn supported by social norms is not only a requirement of justice, it would also be efficient. In sum, Keynes was on to something. To play the game of capitalism, differential prizes are necessary to motivate people. But we should be wary of the rules of the game evolving into something too one-sided and biased. This is neither just nor efficient. Peter Dietsch is a Professor of Philosophy at the University of Montreal. He is also the Director of the Economics and Ethics theme in the Centre de Recherche en Éthique. How does your definition of “rent” relate to what I think is the standard micro-econ discussion of the division of consumer and producer surplus? At the market-clearing price, some people are paying a lot less than the max they would be willing to pay, while others are paying just slightly less than the amount that would leave them indifferent. Same for producers. That’s rent, right, for the people with the preferences in question? I’m thinking of a simple example involving yoga lessons from an intro econ textbook / course from Brad DeLong, but I can’t find a link at the moment. Also, does the presence of rent in this sense indicate that the market is not perfectly competitive? thanks for your comment. There is indeed a similarity between the concept of rent on the one hand and the notions of consumer and producer surplus on the other. Economists tend to use the latter when analysing product markets (if I am not the marginal consumer, my surplus is the difference between the price I would have been prepared to pay and the actual market price; similarly, if I am not the marginal producer, my surplus is the difference between my production cost for the unit in question and the market price). Whenever they can, producers will attempt to appropriate as much of the consumer surplus as they can through price differentiation (e.g. airline fare differences between economy and business class). However, they often lack the market power to do so. This also highlights the fact that consumer and producer surplus are compatible with perfect competition, which responds to your last question. What is the difference between standard product markets and the labour market? The latter is notoriously imperfect. One manifestation of this is that there is no one market clearing price for labour, as there would be on a perfectly competitive market, but there is a multitude of wages set on the imperfectly competitive labour market. As a result, rents (the difference between reservation wage and actual wage or, if you like, the producer surplus of the wage earner) are much more common (and potentially larger) on the labour market. One interesting question your comment raises for me is why economists target rents as an ideal tax base (because the behaviour of the economic agent does not change if the rent is taxed away), but do not seem to advance a parallel argument (as far as I am aware) for taxing consumer / producer surplus (independently of the feasibility constraints of doing so).